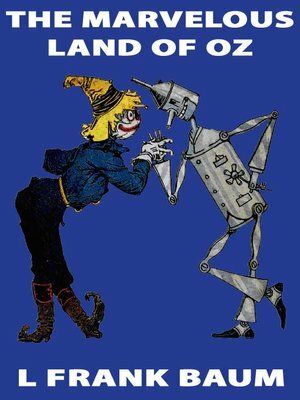 The Marvelous Land of Oz is the second Oz book. In this sequel to the original book, the Scarecrow and the Tin Woodman are back with a boynamed Tip as well as a host of new characters, including Mr. H. M. Woggle-Bug, Princess Ozma of Oz, Dr. Nikidik, and Old Mombi. When the Scarecrow, now the ruler of the Emerald City, is driven out by General Jinjur and her all-girl army, his friends--the Tin Woodman, a boy named Tip, and Jack Pumpkinhead--try to restore peace. Dorothy isn't in this story, though she is mentioned frequently by her friends.